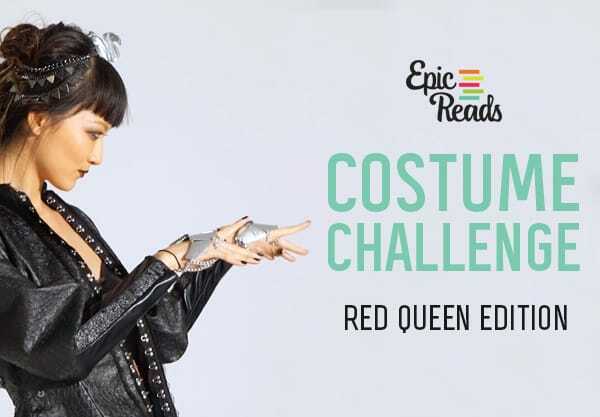 3It’s time to reveal the third video in our Epic Reads Costume Challenge series, where we ask aspiring fashion designers to create outfits based on four amazing fantasy series! So far we’ve seen a look inspired by SHATTER ME and RED QUEEN. Today, we are excited to reveal a look inspired by THREE DARK CROWNS, the dark fantasy series by Kendare Blake. THREE DARK CROWNS follows three triplet queens as they embark on an epic battle to the death for the throne. It’s full of shocking twists, bone-chilling revelations, and some AMAZING fashion moments—so it couldn’t be more perfect for this challenge! And if you were wondering which queen’s style was brought to life, well, of course it had to be the poisoner, Katharine. Able to ingest toxins without any harm, the poisoners are a glamourous bunch who love opulent style and the color black. And no poisoner event is fancier than their deadly feast—the Gave Noir. Check out the video below to see how the designer brought Katharine’s look to life with a dress fit for a queen! The pet snake DEFINITELY wins the obscure award for best/most intimidating fashion accessory in a YA novel. I feel like even without a magical gift to protect me, I would 100% attend a poison feast if it meant I could wear this gown. STUNNING. Let’s take a closer look at this ensemble—shall we? FLAWLESS!! We are obsessed with all this bookish fashion. Like, who were we before we knew how to dress like the fiercest characters around? And don’t worry, there’s still one more video left to reveal! Next month we’re bringing you Epic Costume Challenge……… THE SELECTION edition!!! That’s right. Prep your most couture ball gown and get ready to revisit the glamorous world of the Schreaves! We cannot WAIT!! Are you obsessed? We’re obsessed. Let us know what you think down below! !